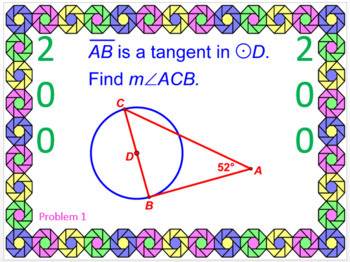 CIRCLES: CENTRAL AND INSCRIBED ANGLES AND ARCS - POWERPOINT GAME - WIPE OUT! 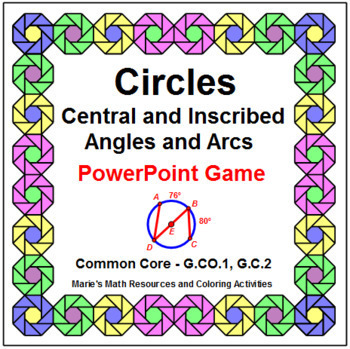 This is a powerpoint game on angles and arcs in circles. 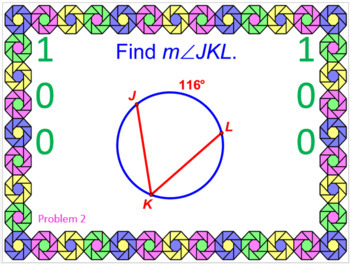 Use as a game (22 problems) where students will lose points 2 times or use as a review (24 problems). Algebra 1 is reinforced in some of the problems. 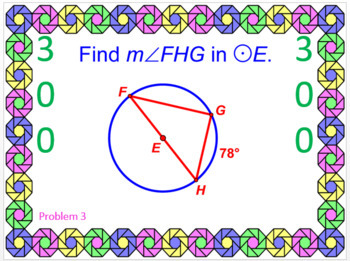 Problems are on Central and Inscribed Angles and their arcs. I've included 40 problems to choose from. There are now 10 powerpoint games to choose from.